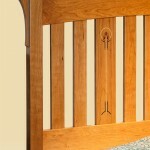 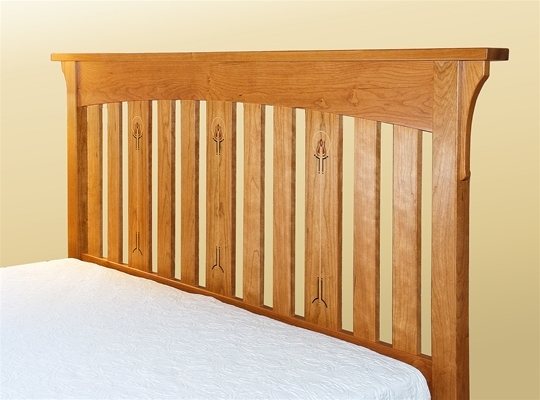 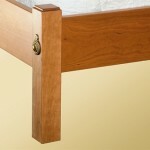 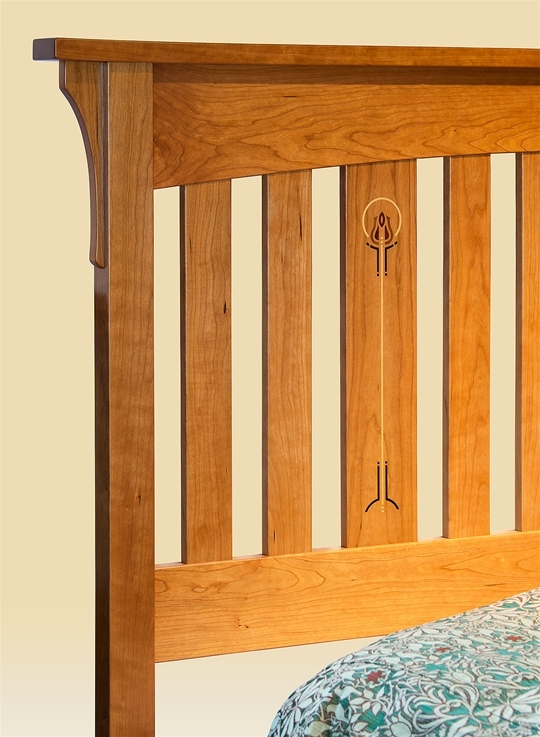 This beautiful slat bed is given an extra touch of Arts & Crafts glory by adding the traditional stylized rose inlays. 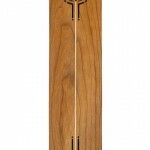 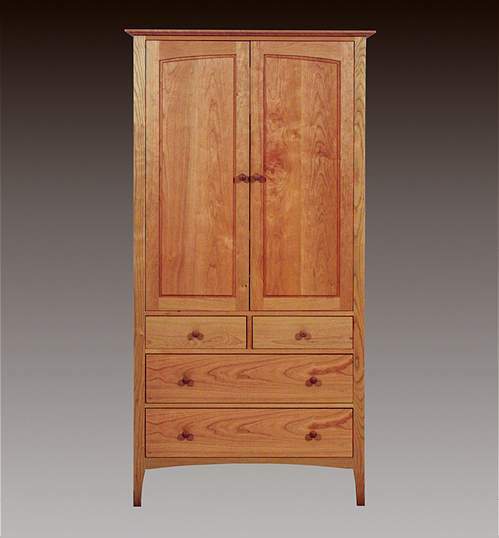 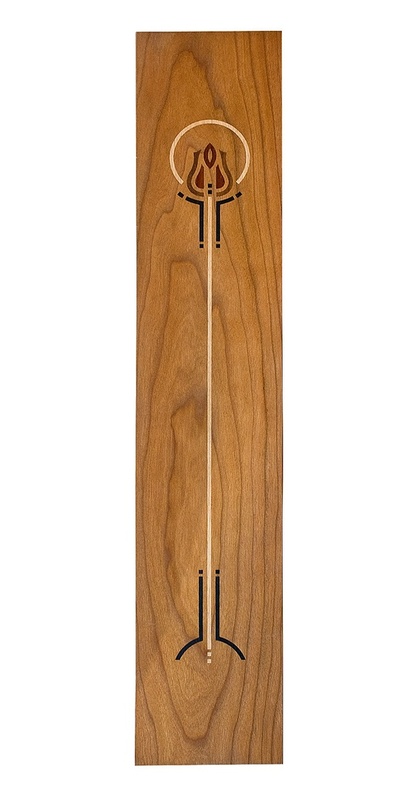 Ron and Steve believe that the high and low tones of the inlay show up best on a mid-tone wood such as Cherry although other woods are available. 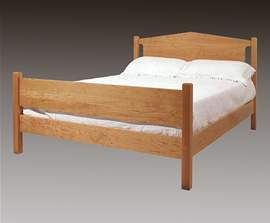 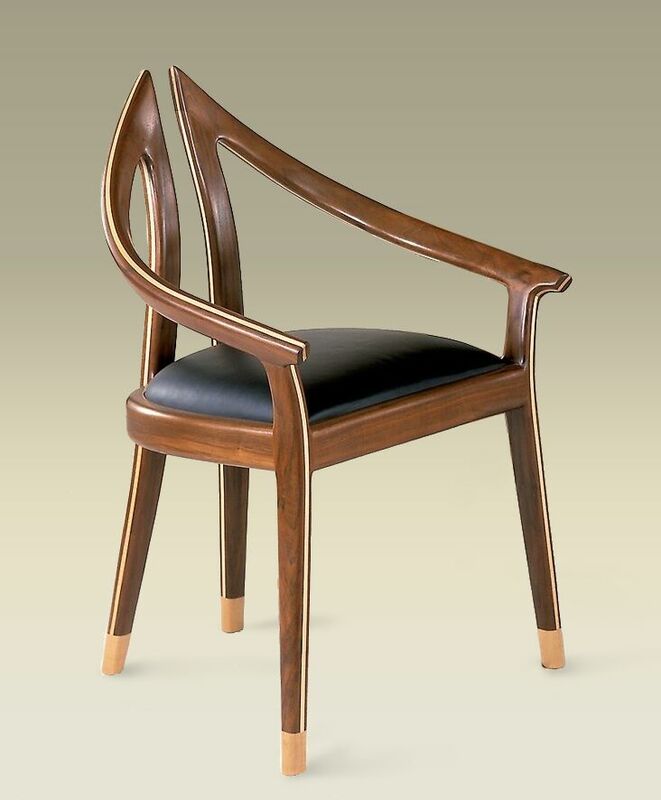 Wood: Available in other woods upon request. 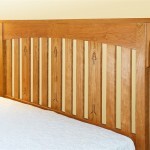 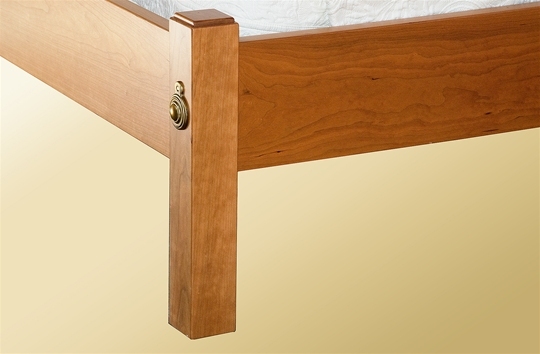 Can be built with a slatted footboard for an additional charge.